Yeah, my first vector ever. I can't say it's good or something like that, but I believe it could have been waaay worse. 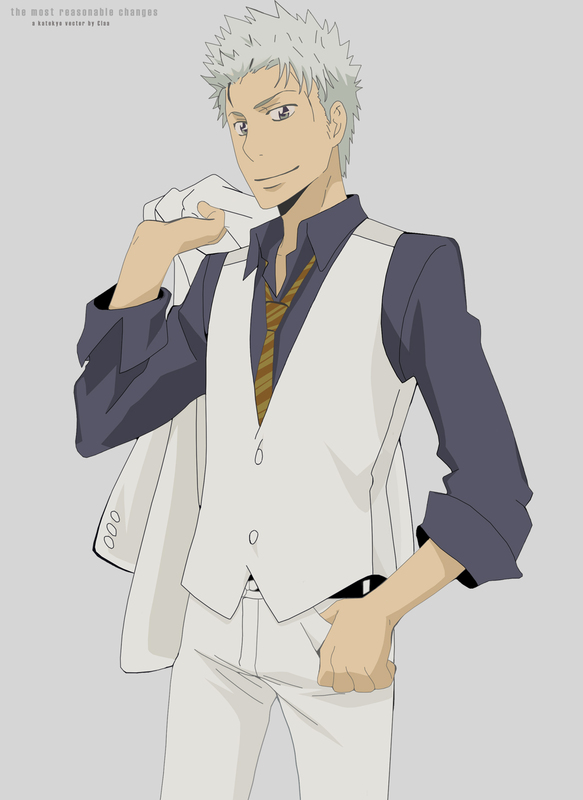 Also, Ryohei needs more love. ._. I did in about four days. Of course, maybe I should have taken some more time, but the colouring was fairly easy to do and the line art wasn't that complex either. Some parts are poorly coloured, and I beg your pardon for that. I promise I'll do better on my future vectors. Oh, the credits! Thank you very much angelpup1419 for scanning this image of Ryohei. "I have to congratulae myself for having found where his shirt ends and where it begins. Or have I got it wrong!? *suspicious*"
XD Lmao, oh hunny, I totally get where you're coming from. When I vector my holo cards, I have to shine a flashlight onto them (the actual cards, not the scans) so I can see where all of the lines are because they barely come through on the scans. woooow! 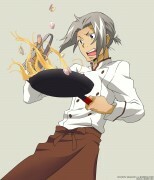 ryohei onii-chan! xDD! thanks for sharing! Nice clean vector, I love it. Thanks! Very good, mainly because it is your first vector.